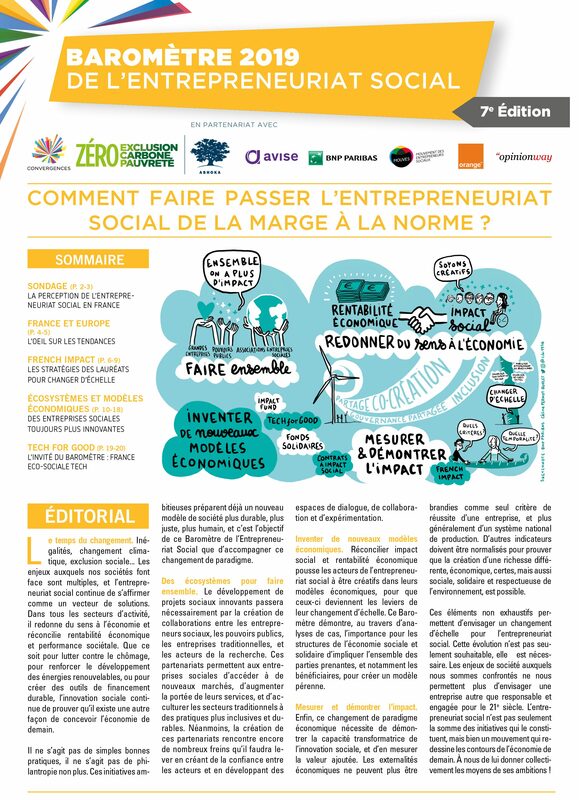 Convergences has been publishing the Social Entrepreneurship Barometer since 2011. 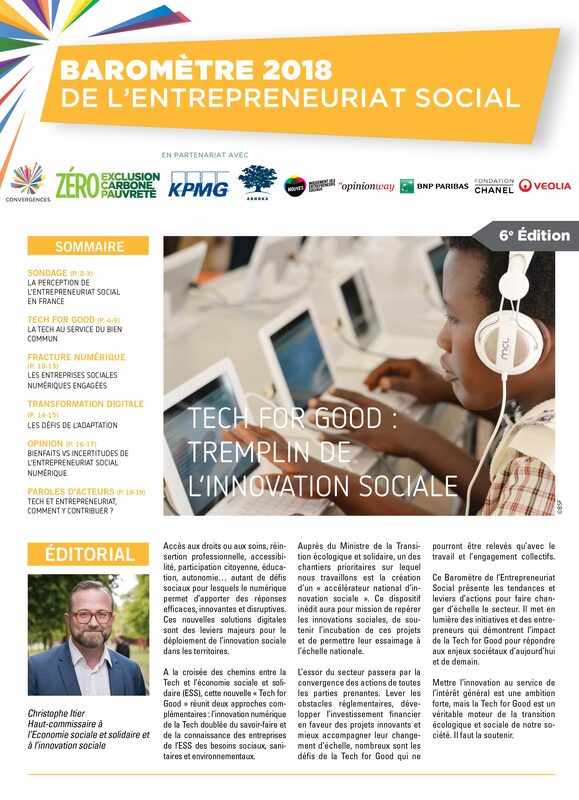 The Barometer presents the key issues and trends of the social entrepreneurship sector in France and worldwide, and promotes a set of best practices. 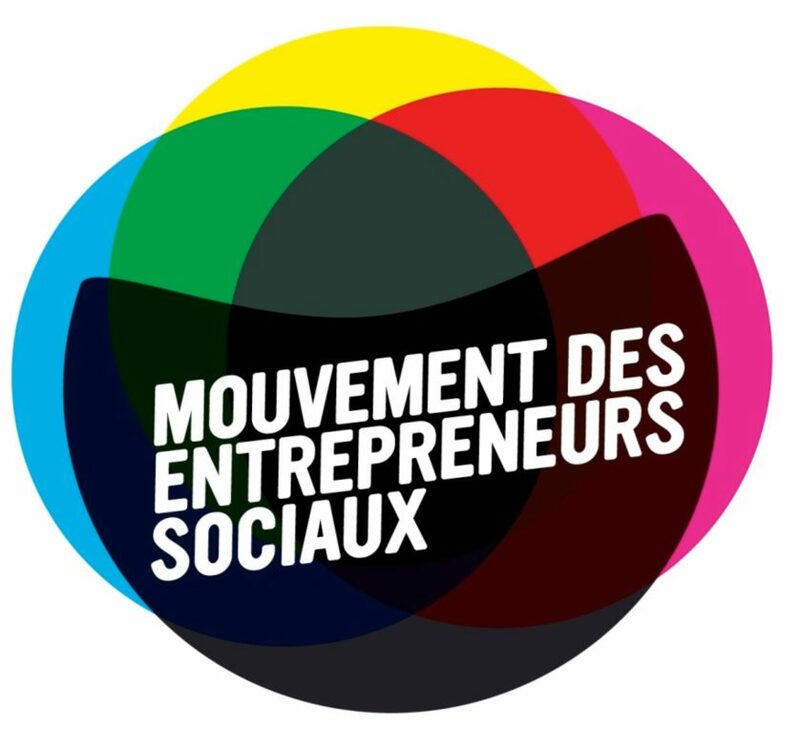 It is aimed at all the social entrepreneurship sector actors – entrepreneurs, investors, public authorities – but also at the professionals of related sectors, students and the media. 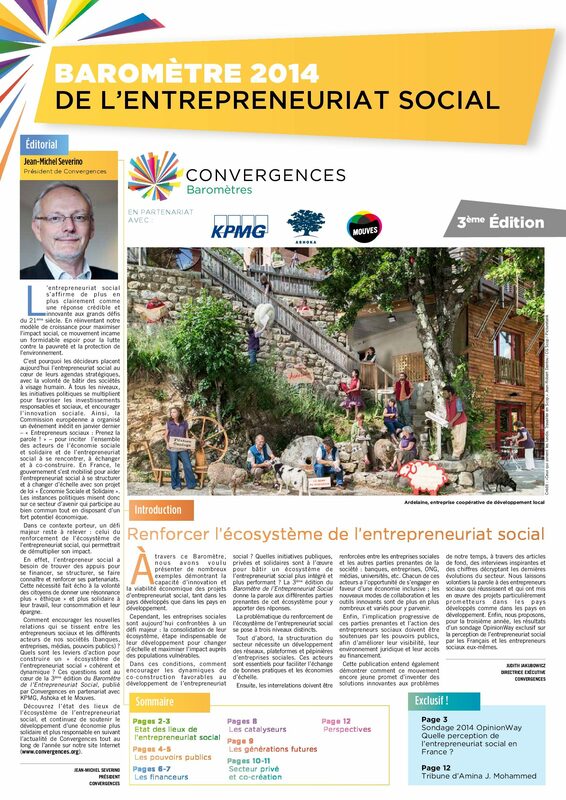 The Barometer is one of Convergences’ flagship publications. 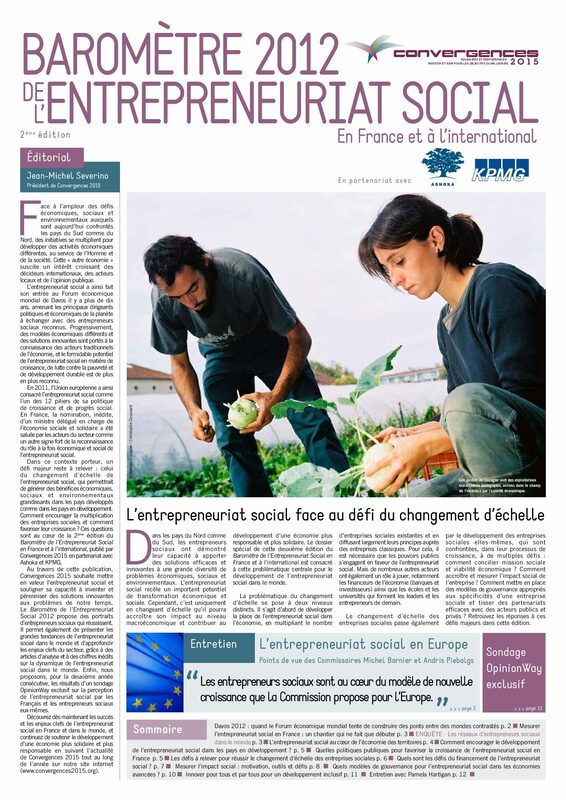 It highlights portraits of entrepreneurs and inspiring initiatives. 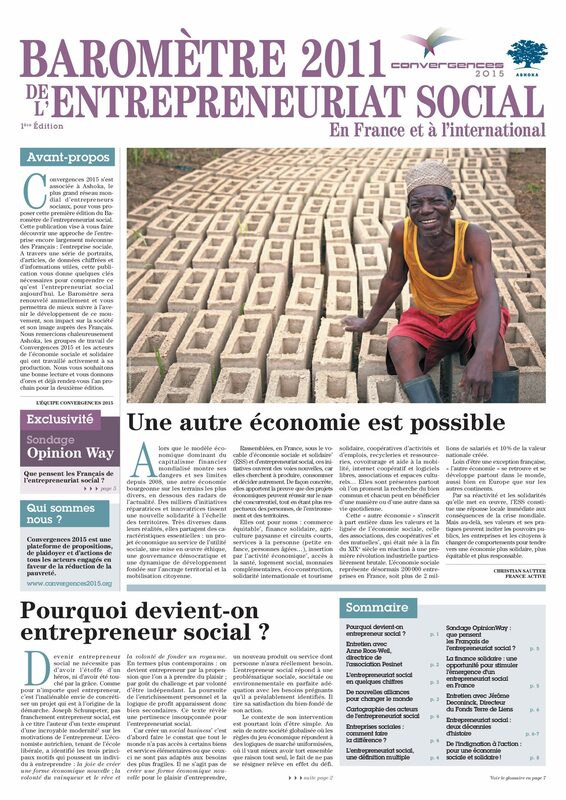 It also features exclusive data on the perception of Social entrepreneurship in France, thanks to a collaboration with OpinionWay. 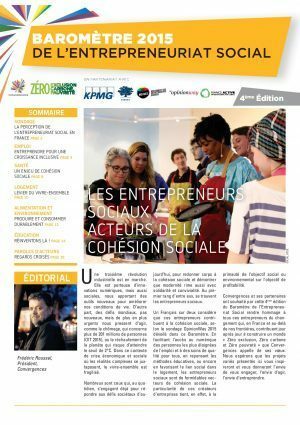 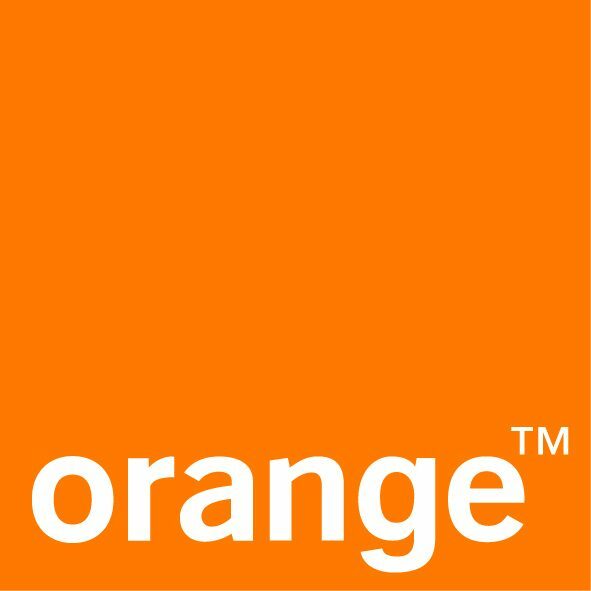 The 7th edition of the Social Entrepreneurship Barometer will be released in February 2019, in partnership with Ashoka, Avise, BNP Paribas, Mouves, OpinionWay, and Orange. 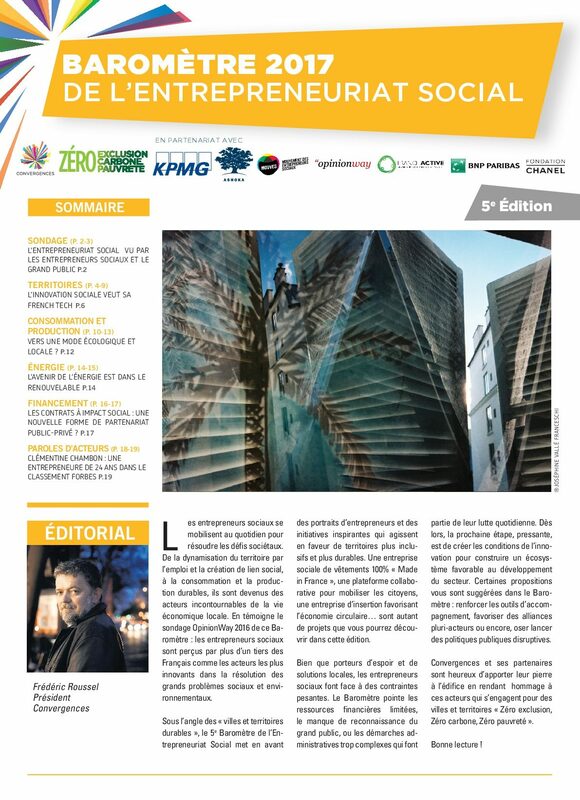 This last edition focuses on the role of social entrepreneurs in the transition towards sustainable cities and territories.